Located between Quidnet and Sconset this upside down home is surrounded on three sides by conservation land It is private and secluded allowing you and your children to relax and enjoy nature. With decks off the first and second floor, views of the Sankaty light and golf course as well distant views of the ocean are very delightful. Deer frequent the yard as well as rabbits and birds. The house is 600 ft from the road making it very quiet and safe for children. The inter island bike path is at the end of the drive way linking you with the rest of the island. Sconset and Quidnet beaches are only minutes from the house. The house is furnished in Old English Pine and tastefully decorated. If you are looking to clear your head calm your spirits and just get away from it all, this is the house for you. We live in Smithfield Va where my wife grew up. I lived on Nantucket for 9 years and Cape Code (Falmouth) for another 9. I grew up in Olean NY if you have heard of it and moved to the cape when i was 20. We both love Nantucket and have some very good friends there. Could end up living there someday when we get brave enough to retire. I built the house there in Cedar meadows to be close to one of the most important persons in my life. She is the reason i keep coming back to the island and the reason i own a house there. Long story. Ask if you want to here one of those unique to Nantucket only stories. all new stainless steal appliances. My contractors were very happy the accommodations. This home is perfect for family get togethers and even for the pets! Bright, charming, comfortable home. You are in your own oasis. Fantastic space for large groups to gather and enjoy! Awesome view of Sankaty lighthouse! Quiet! Stephen was a great host, we stayed there over Christmas holiday and he made it easy to host my family from out of town. We loved having so much quiet space to play games and watch movies and eat family meals. It was warm and clean and comfortable. 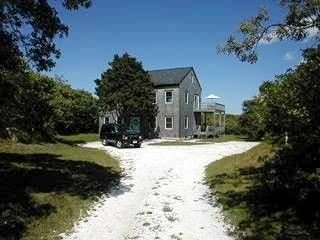 Definitely need a vehicle as it’s almost out in Sconset itself BUT it’s a beautiful location! Plenty of necessities to cook and use if you like to cook meals. Just a great place for family! Highly recommend! The house is on the bus line, but it does not run all year. Be ready to use uber or have a car if you are there off season. The bike path is great when the weather cooperates. Close to Sconset, so you can take the bus into town from there if you have a bike. My friends and I had an unforgettable time! We plan to make it tradition to come back the same time of year. We had a marvelous stay at this rental. It was perfect for our multigenerational family of eight. We enjoyed the secluded location and the wildlife sightings. The upper deck was an added bonus as we were able be outside with the small children very easily. We plan to return next year! The conservation land that abutts this property is part of the Audubon society. There is an eagles nest viewable from the back deck. As stated before the bike path goes right by the end of the drive way. This path goes thru-out the island and is safe for children. All the usual activities are available from an island community.